Liwonde Safari Camp is perfectly located for tailor-made safari trips in Malawi's top National Park: Liwonde National Park. The rustic atmosphere of the camp is enhanced by its location in one of the richest habitats of the park. Just lazing about on one of the camp's various observation decks to watch the elephants or count the many species of birds, is the perfect way to spend a day here. 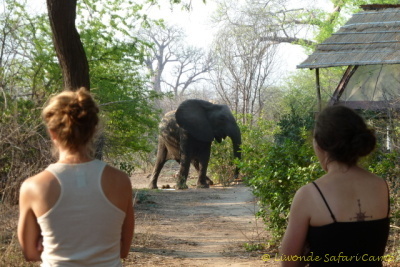 Walking safaris are available around the camp. Our fully equipped safari vehicles are always ready to take guests on game drives and our expertise and experience in the park guarantee the best possible safaris. 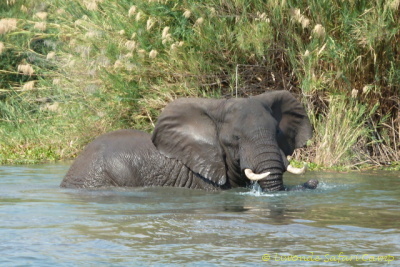 For an idyllic sunset trip we can arrange a boat safari, to steam up the Shire River amongst the hippo's and crocodiles. Of course we can also arrange morning boat safaris. The local community is always more than happy to show our guests around and a village walk is the perfect way to appreciate Malawian hospitality. Not all the visitors to our camp are human!